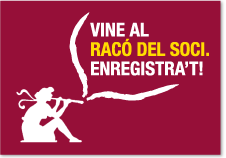 In 1908, on the Sant Pere Més Baix street de Barcelona, a group of friends interested in dance in general and specifically for these of our country, Catalonia, they wrote and signed the Statutes of a new entity called Esbart Català de Dansaires. It happened over a hundred years ago. If you want to know your history, you can select the period you want. It was a time of cultural effervescence. Across Europe, daring and imaginative architects raised sinuous buildings and painters and sculptors blows everyday realities, of popular and simple shapes, which in turn were thinking about wealth and voluptuous nature. It was the heyday of the decorative arts in general, using simple items like jewelry or furniture treated as if they were true works of art, placed at the disposal of the bourgeoisie being able to have small wonders at home. It was a moment of worship to the arts, and fashion, design, literature and music were also permeate this feeling.